Hatch is placed and sanded(“faired”). 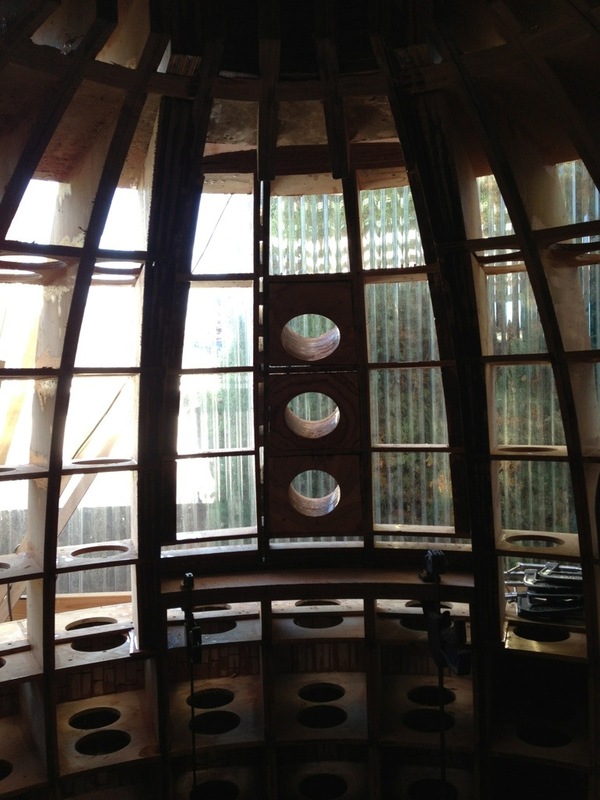 After dry fitting the hatch I had to climb in a porthole in order to screw in the temporary side jams. 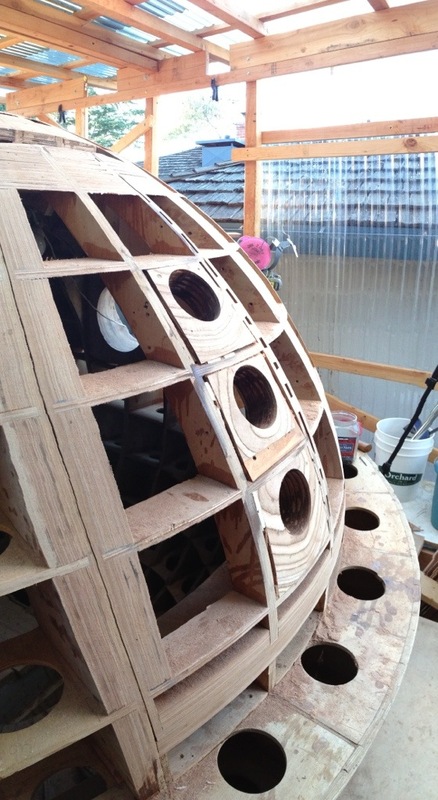 It was a tight squeeze, but that was the idea behind the huge portholes. Sand sand sand. Looks good. have you decided if you will make a hinge for it? Eli, I definitely need to make hinges for the hatches. I like your recommendation of yoke hinges. I would do 2 for this back hatch, to increase the stability, yes? I’m thinking when the boat is in the water and the hatch is open, there is a good amount of stress on the hinges. When I finish the hatch I can spec out the hydraulics as well. No reason to wait on the hinges, so I’ll give you a call to talk it through. Thanks.